The rims are made of fine 1K carbon structure. 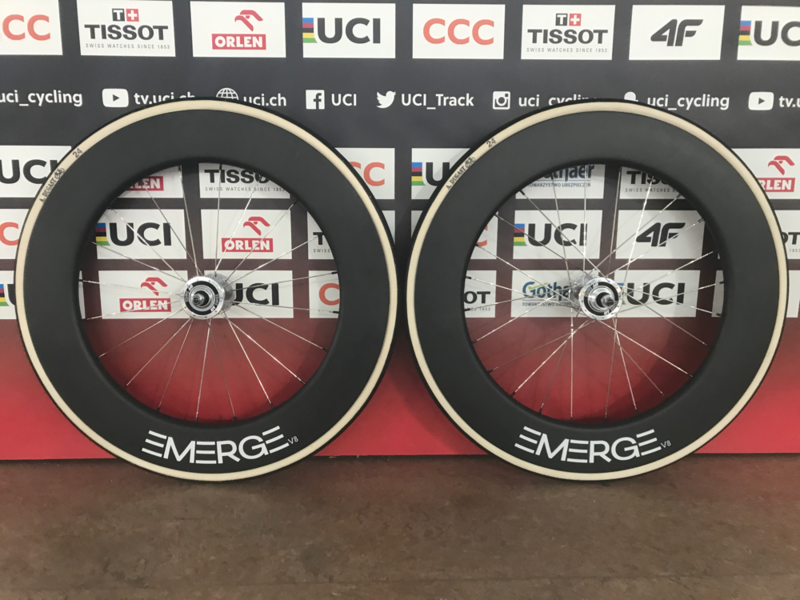 The fine carbon structuur ensures extra rigidity of the wheel, the rims have a width of 25mm and are 88mm high. 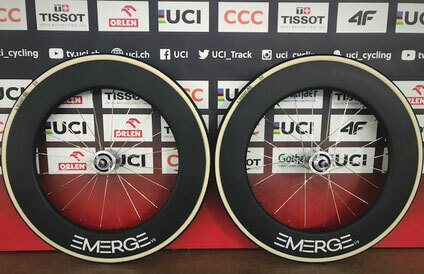 This shape makes the wheel set manageable and also really aerodynamic. 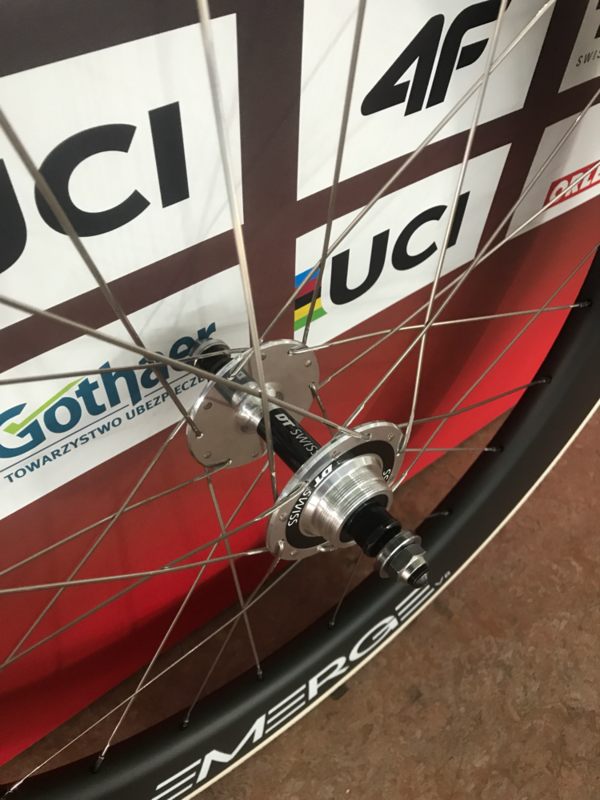 The wheels have the DT Swiss track hubs and build with Sapim CX-Ray spokes with messing nippels for more reliability. You can best drive the set with 23mm tires. 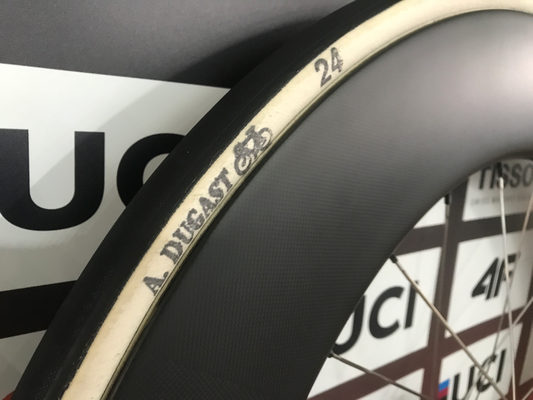 Dugast has make some special tubes in 24mm width, we make it specially for heavier riders and difficult sixday races. 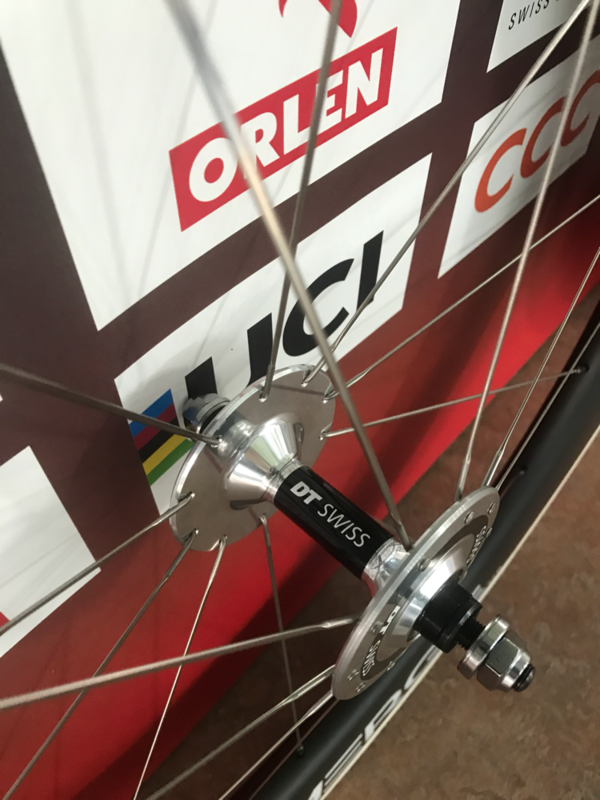 Standard with DT Swiss track hubs, possible to choose them with other (Paul, White Industries, Shimano) hubs and costume decals.